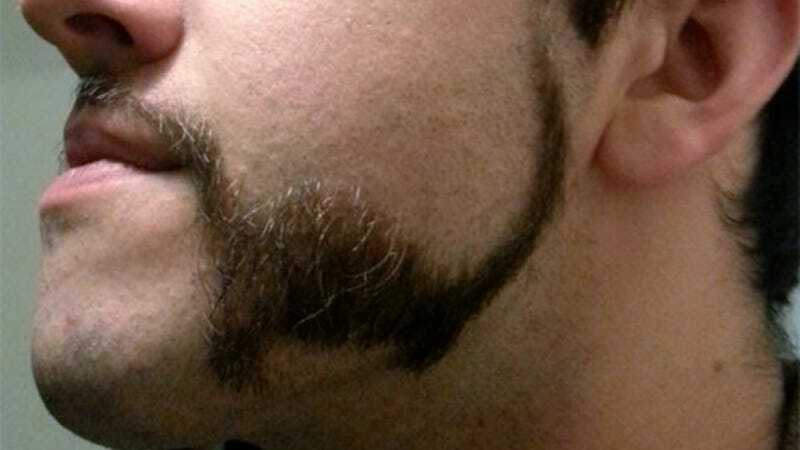 This man shaved two dinosaurs into his beard. That is all. Apatosaurus on the left cheek, Raptor on the right. Rarely is beard-art this inspired (though it's been known to happen). The hair-artist in question is Sean Sweeney. The Philadelphia-based high school math teacher said in a recent reddit post that his two-faced dino-beard was the winning entry in his school's beard competition, which a) of course it was, and b) high school beard competition? Is this a thing now? Because we approve.